Wu Yi Shan Rou Gui Oolong is an aromatic and sweet Wu Yi Rock Oolong, or yancha from Fujian Province. Large leaves produce an amber liquor with a floral honey scent. The sweet juicy character has mineral and floral notes with a lingering aromatic and stony finish. 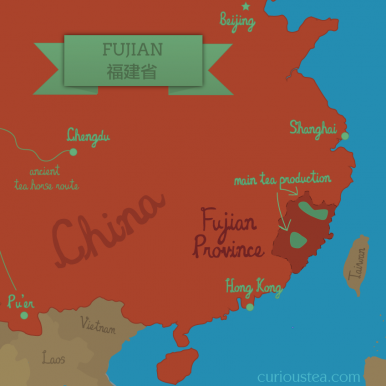 Wu Yi Shan Rou Gui Oolong (武夷山肉桂) is a classic oolong from Wu Yi Shan (武夷山) in Fujian Province, China. Rou Gui is also known as Cassia Oolong in English, a name for Cinnamomum cassia, or Chinese Cinnamon. 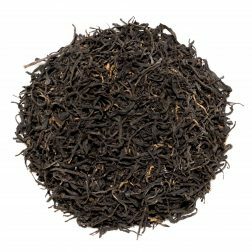 This name does not mean that this oolong has a distinctive cinnamon flavour or aroma but rather that the character is somewhat dry and with a particular scent, akin to cassia or cinnamon bark! This Wu Yi Shan Rou Gui Oolong has pronounced mineral and stony flavours yet it has a long lasting floral and sweet finish that this kind of Wu Yi Rock oolong (or yancha) is famous for. This particular tea was harvested and processed in April 2016. It has undergone light to medium roasting during processing. 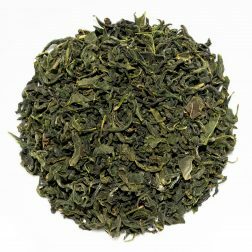 This Rou Gui Oolong was then left to ‘rest’ for a year before being made available for sale. 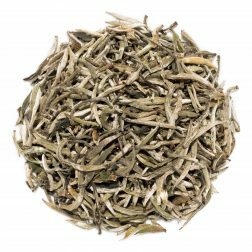 This allowed the roasted character to mellow out and diminish even more, emphasising the floral nature of this special tea instead. 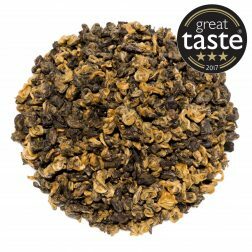 This Rou Gui Oolong is a popular and well recognised Wu Yi Rock tea, which can collectively be referred to by the English name ‘Bohea’. As historically the term Bohea used to apply to lower grades of tea, the preferred term for teas coming out of this terroir is Wu Yi tea or Wu Yi Rock tea. Wu Yi Rock teas are grown on rocky mountainsides where the soil is high in mineral content and the growth of the tea trees is much slower. This terroir results in a distinctive ‘rock’ taste that is particularly evident in oolongs from this area and is prized amongst tea lovers. This characteristic profile is stony and mineral in taste but with a long lasting sweet aftertaste. This Wu Yi Shan Rou Gui Oolong tea was first featured in our May 2017 Curious Tea Subscription Boxes.